A Murano artist and painter interested in the decorative arts, Vittorio Zecchin (1878-1947), from 1921 to 1925, occupied the position of artistic director of the V.S.M. Cappellin Venini & C. glassworks, founded in 1921 by the Venetian antiquarian Giacomo Cappellin and the young Milanese lawyer Paolo Venini, with the intention of offering a sophisticated, modern style of production. Responding to the demands expressed by Cappellin and Venini, Zecchin designed monochrome pieces with extraordinary colours and classical essential lines. 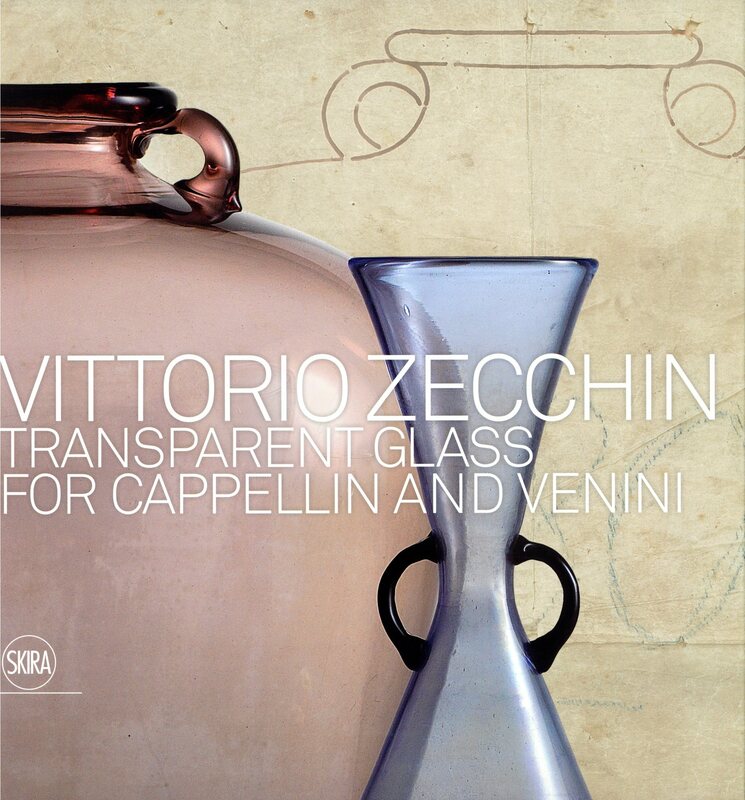 This volume reconstructs for the first time the entire collection of transparent blown-glass pieces designed by Vittorio Zecchin, first for Cappellin and Venini and then for Cappellin alone.